On March 27, Marion McCristall will speak about Travel Photography with Heart. She is an award-winning photographer who has recently spent three years living in Europe and now divides her time between Canada and Portugal. 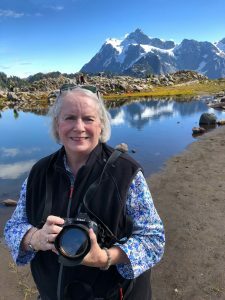 SHe has travelled to 41 countries with her camera in hand and will offer tips on how to take your travel photography to the next level. Marion and her colleague, Fernando Pkarra, offer photography tours and workshops in Portugal. They also have two upcoming ones with Rick Hubert in Vancouver in May and Portugal in October. Guests welcome, $10 by donation at the door.